From the moment that they can tell the time children love watches. Wearing a watch can give a child that special feeling of not only being able to tell the time but to look like their mum or dad who they’ve always noticed wearing their own luxurious timepiece. 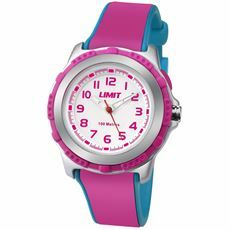 Here at GO Outdoors we’ve got a number of stylish, comfortable and easy to read children’s watches in various colours and designs that will appeal to all young boys and girls alike. With everything from analogue watches to those with Velcro straps for easy fastening, our range of kids’ watches will be in high demand so treat your little ones today from our collection of children’s clothing, accessories and watches.